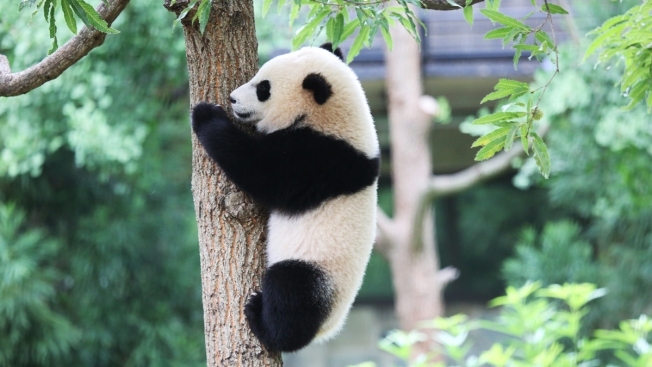 FILE PHOTO: Bao Bao celebrates her first birthday. Last spring, violence erupted outside of the National Zoo on Connecticut Avenue. Two teenagers were wounded when gunfire flared among crowds of young people gathered at the zoo during Easter Monday, the annual family event that draws thousands. Dozens of teenagers, who police said were carrying on beefs from neighborhoods elsewhere, spilled onto the street and into nearby Metro stations and buses. It was ugly and prompted calls to shut down such events and to install metal detectors on the otherwise peaceful, green grounds. Despite the tendency in our post-9/11 world to do just that, the zoo is taking a more measured approach. As NBC4 first reported this week, the zoo is not closing itself off with sealed entrances, body searches and other aspects of “security theater” that have become so familiar. For big events — not the ordinary, day-to-day operations — the zoo will have available modest security measures. “We’re going to be implementing access control similar to what you’d see at museums, at sporting events around town,” said director Dennis Kelly during an interview on Monday. “We’ll be doing bag checks and other measures to make sure that all of our families and members are safe.” Some entrances may be adjusted to better control entry and exits. Neighbors of the National Zoo have held meetings about their security concerns. Local advisory neighborhood commissioner Lee Brian Reba has been calling for at least minimum security checks rather than wide-open gates. And Peter Brusoe, president of the Woodley Park Community Association, has been at security meetings, too. On Monday, Brusoe said he still wants police from the zoo, Metro and the city to ensure they’re working together at any big zoo event. Right now, he’s satisfied with the plan that will be phased in during the spring. He said there was no need to clamp down on the zoo’s openness. Yes — pandas, not panic. ■ Help wanted. The DC Fiscal Policy Institute is a strong advocate for government programs that lift people out of poverty and help the struggling middle class stay there. The organization has two openings on its staff and is looking for advocates to fill them. Director Ed Lazere says he needs to replace Elissa Silverman, who won an at-large seat on the D.C. Council in last November’s elections, and Jenny Reed, who left the institute to be deputy budget director for Mayor Muriel Bowser. “I’m ecstatic that we have two people who were sitting in our offices [who are] now in key positions in city government,” Lazere told us.